Watch the episode of Posh Pawnbrokers when Sam attempts to sell his Formula 1 memorabilia to keep his racing dreams alive. 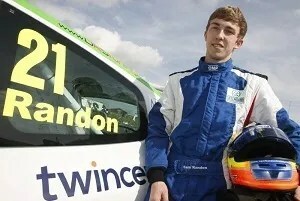 Ashbourne’s Sam Randon missed out on his bid for third place in the championship at the final 2 rounds of Michelin Clio Cup Series, settling instead for 4th in the standings of this competitive series, recognised as a stepping stone to the British Touring Car Championship. With 5 podium visits, multiple pole positions and even a lap record to his name this year, Randon feels justifiably disappointed with his final ranking. 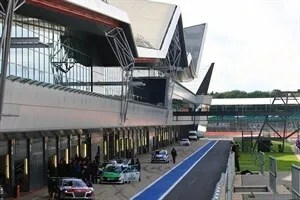 At the home of British motorsport, Silverstone in Northants, 20 year old Sam Randon entered the weekend 10 points behind championship rival Brett Lidsey but soon overturned the deficit by the same margin in the first race by finishing fourth when Lidsey inexplicably ignored the ‘mechanical black flag’ and was subsequently disqualified. However, experienced competitor Andy Jordan with the same championship ambitions chose this weekend to convert two pole positions into two race wins, and leapfrog both Randon and Lidsey to seal 3rd spot in this prestigious championship. Looking back on the year, the importance of qualifying was one of the first lessons driver coach Ed Pead had stressed, and through Ed’s tutelage the qualifying performance soon improved. “To get a pole position in round 1 at Rockingham was a tremendous result and with the exception of Brands, my quali has been good all year and it definitely shapes the whole weekend – as Brands ultimately proved“. For championship success, finishing well in both races during a race weekend is crucial as teammate and well deserved champion Luke Herbert proved, and this has been Sam’s downfall significantly hurting his championship standings, though not all have been within Sam’s control…. Randon plans to stay sharp over the winter with limited track testing and some simulator work whilst planning his campaign for the 2016 season. Qualifying on the second row, Sam made a good start in race 1 from P4 and was up to P3 on the first lap and for much of the race. Running in a competitive 3rd position and challenging the leading 2 throughout the race, Randon only lost out on another podium on the last corner of the last lap. “It sums up my season really” said a despondent Sam. Sam got another good start for race 2 and was again competing at the front before a 100 mph spin dropped him out of contention. Hosting around 50 guests in the sunshine over the 2 day race meeting in the prestigious Formula One “Wing” paddock at Silverstone, 20 year old Sam had the opportunity to thank many of his sponsors and supporters in person including Maria Hanson MBE from the me&dee charity. 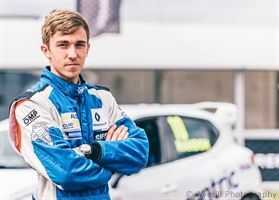 Ashbourne racing driver Sam Randon hit back in style at Oulton Park Island Circuit on Saturday, 15th August, during the penultimate event of the Michelin Clio Cup Race Series to make a welcome podium return during round 10 of the championship. Putting the bitter memories of the previous event at Brands Hatch – where the Westbourne Motorsport racer was shunted out of contention in both contests at the Kent track – firmly behind him, Randon qualified within just 0.1 seconds of pole position at Oulton and chalked-up his fifth podium of the year in race one with third place. Mathematically, Randon can still end the season as Vice-Champion and he will go into the grand finale at Silverstone next month just 10 points outside the top three in the driver standings. Beginning round 10 on the front row alongside team-mate and championship leader Luke Herbert (Chichester), Randon made a good start and almost managed to get alongside into Old Hall but sensibly tucked back in to second place. 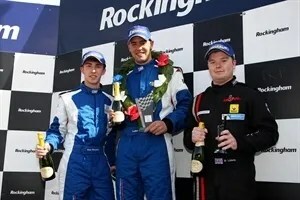 Driving well in the runner-up position, on lap nine he fell victim to an attack from Paul Streather (Hinckley) and so took third place at the chequered flag on lap 12. His best lap time of the contest was only 0.2 seconds shy of winner Herbert’s pace. Lining-up third on the grid for round 11 later in the day, Randon was involved in an almighty battle for the final step on the podium with four other drivers. Providing sensational racing, the multi-car battle was decided on the final lap when Randon – who was in third place at the time – was tagged by a rival and so slipped to sixth. 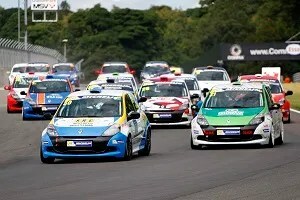 Next stop for the Michelin Clio Cup Race Series and Road Series will be the season finale five weeks from now, on 19th/20th September, at Silverstone International Circuit in Northamptonshire. SAM Randon could be forgiven for not wanting to set eyes on Brands Hatch again after crashing in both races at the Kent circuit this year. 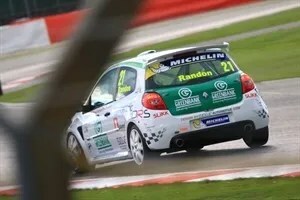 Michelin Clio Cup racer Randon, from Ashbourne, had a disastrous trip to Brands last year, too, and his chances of winning the title this year have been as badly dented as his car this time. The good news was that Randon walked away largely unscathed from a particularly nasty pile-up on the Saturday. 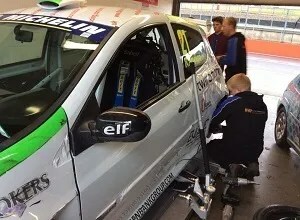 His Westbourne Motorsport team mechanics did a brilliant job working through the night to rebuild the battered Clio in time for Sunday’s race – only for Sam to see two cars spin in front of him and take him with them, out of the race. 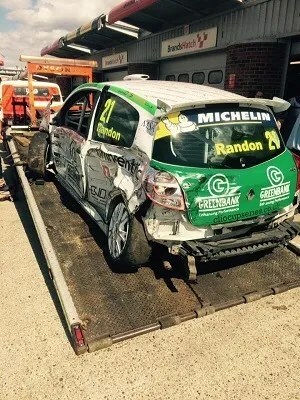 Randon was left with no championship points and a badly-damaged car. “I was fast in wet practice on Friday,” said the disconsolate 20- year-old. On the opening lap, as the pack concertinaed up around the tight Druids hairpin, Randon went around the outside of several cars in an earlier pre-planned move agreed with his driver coach. 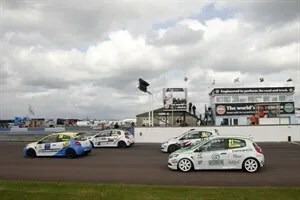 “It worked a treat and I felt like the move was done but I found we were three abreast heading down the hill and that doesn’t work well in Clio racing,” he said. Westbourne Motorsport worked miracles overnight to repair the car for Sunday. He became the casualty and was spat out of the gaggle of cars after contact, spearing into the tyre barrier, badly damaging the car and bringing out the red flag. “It was a big impact but other than banging my knee on the roll cage I was unhurt. But the car was not so lucky – it was a mess,” said Randon. “I can’t thank Westbourne enough. “There are too many names to mention individually but they were incredibly dedicated and professional, as they had other cars to work on too. Sadly, more bad news was on the way in torrential rain. “I go well in the wet and had already made up places and broken away with the leading pack when the safety car came out and bunched us back up again,” said Randon. 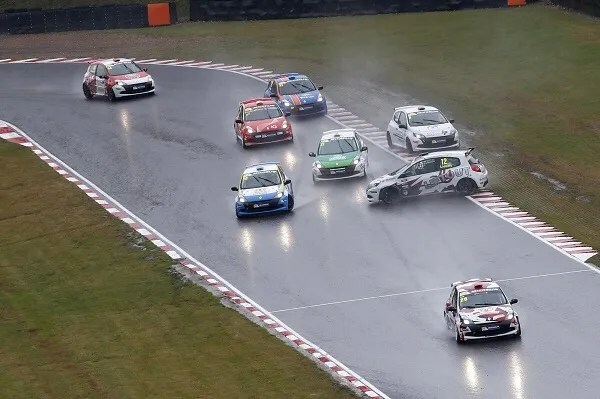 Spinning car collects Sam (green front) on its way to the accident in race 2. At the restart, two cars battling in front collided and spun in the wet conditions, one car collecting Randon’s on its way to the barrier. “It was somebody else’s accident. With them out of the race it would have put me second and, from there, I would have fancied my chances, but it was not to be,” he added. Backed by Derbyshire based engineers, The Greenbank Group, Randon has dropped to fifth in the championship with four more races to go in the season. 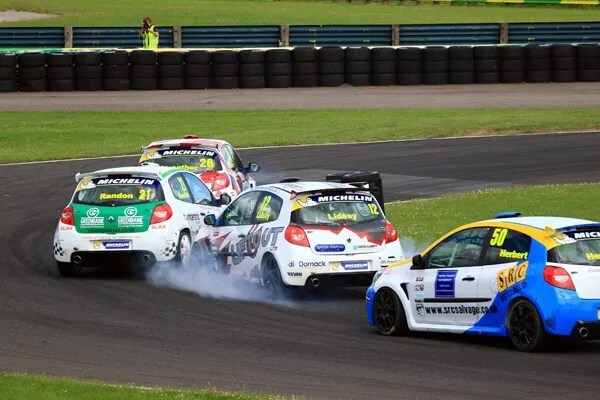 Sam Randon came tantalisingly close to securing his maiden Michelin Clio Cup Race Series victory at Croft in North Yorkshire on Sunday, 12th July, but had to settle for a best finish of second in race one of the weekend – a mere 0.5 seconds shy of the win. 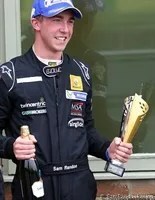 The Ashbourne 20-year-old was the dominant force in qualifying, securing pole position for both races in style, and after making a textbook start at the beginning of round six he held the lead from experienced former British GP Champion and British Touring Car Championship racer Matt Allison for almost the entire duration. Soaking up relentless pressure, Randon didn’t put a wheel wrong over the course of the first 14 laps but just four corners from the chequered flag he was fractionally put off his stride by some backmarkers and Allison sliced past to steal the win. 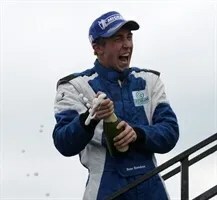 In round seven, the Derbyshire driver again led from lights-out and fended off Paul Streather until lap four at the hairpin when his rival produced a late pass up the inside. Sticking with Streather, Randon’s race then took a turn for the worse three laps from the conclusion when contact at the complex pitched his Clio off the circuit. He eventually recovered to finish in eighth place but did consolidate second in the championship. There is now just a fortnight to wait until rounds eight and nine of the season at Brands Hatch Indy Circuit in Kent over the weekend 25th/26th July. 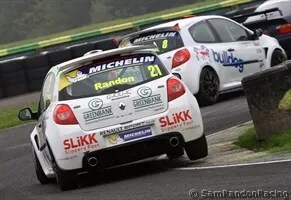 Sam Randon (Ashbourne) produced a sensational performance at Croft Circuit in North Yorkshire this afternoon, Saturday, 11th July, during qualifying for rounds six and seven of the Michelin Clio Cup Race Series to claim his second and third pole positions of 2015. 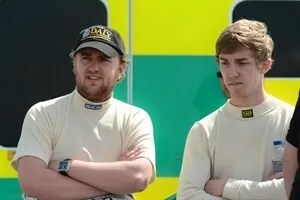 As the only driver to dip below the one minute 34 second barrier, the Westbourne Motorsport racer managed to see off Intercity Racing’s Matt Allison (Norwich) by just over a tenth of a second with a fastest lap time of 1m33.972 seconds (81.40mph). Randon’s second best lap of 1m34.202 seconds (81.20mph) ensured a richly deserved double pole. 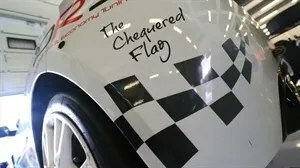 With less than 0.4 seconds covering the top seven qualifiers, the weekend’s race action looks set to be incredibly close and intriguing in equal measure with Randon’s team-mate, championship leader Luke Herbert (Chichester), having to settle for sixth on the grid for race one and fifth for race two. 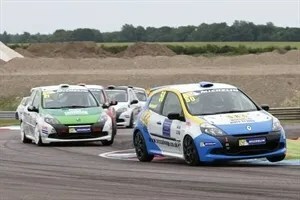 Two superb action-packed Michelin Clio Cup Race Series contests at Thruxton in Hampshire over the weekend, 13th/14th June, delivered another podium for 20 year old Sam Randon who also recorded a new lap record in the process. Disappointed to be starting from 4th on the grid, the Ashbourne racer showed great pace in the Saturday race but with such close racing the places were swapping by the lap and Sam could never quite get onto the back of the leading two cars, resulting in a 3 way battle for 3rd place. Contact on the penultimate lap put Sam sideways and lost him more places. Starting in P3 for race two, the plan was to tuck in behind his teammate and championship rival, Luke Herbert, from the start and that is exactly what he did. The two Westbourne Motorsport drivers worked together to create an unassailable gap from the chasing pack. Clearly the quicker car, Sam tried a couple of attempts to pass Herbert but had to settle for 2nd, finishing just 0.197s behind after the 10 lap race. 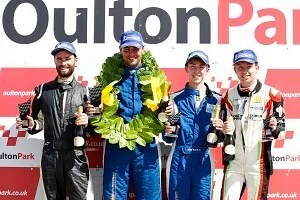 Pole and 2 podiums to kick off the season! 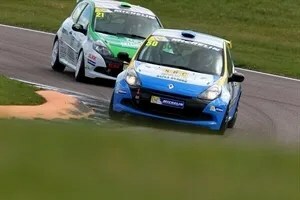 SAM Randon is satisfied with his start to the new Renault Clio Cup series after scoring two podium finishes at Rockingham this weekend and racing at the sharp end. 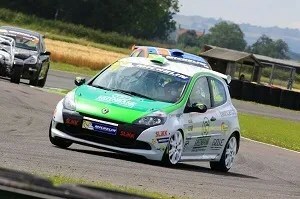 The young Ashbourne driver qualified on pole for the opening round on a busy weekend. 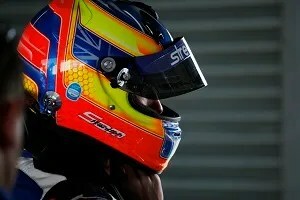 He headed the times in the first round of qualifying but was edged off pole in the second round. When it came to the racing, Randon was unlucky enough to hit a patch of fuel and slide off during the first lap and finished a dissapointing eighth. Westbourne Motorsport teammate, Luke Herbert won heat one and was the man they couldn’t catch again in the second race but, this time, Randon was right on his tail and took a strong second place. Paul Streather came through to win the third round, with Herbert taking second and Randon coming in third. It means that Herbert leads the standings on 92 points, with Streather second on 70, and Randon third on 69. 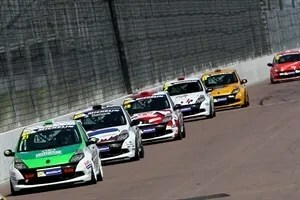 The next meeting is at Thruxton in June, with further rounds to come at Croft, Brands Hatch, Oulton Park and Silverstone. Each of those feature two rounds. Randon said: “I was so much happier on Sunday than Saturday. Festival and event camping specialists, Jim’s Van, becomes a new sponsor for the 2015 season. Jim’s Van pitched up in 2013 to provide a new way of making camping at festivals and events a lot easier. Based in Castle Donington – the UK’s spiritual home of live rock music – Jim’s Van provides camping gear as both a Pre-Order+Collect service online as well as selling a wide range of useful kit at the events themselves. Festival-goers ordering in advance and collecting at the event come from right around the world. All our customers say Jim’s Van is a great way to make their time at the event simpler and much more enjoyable. if you are planning on a weekender somewhere this year, or you are involved with running an event and want Jim’s Van to be a part of it visit www.jimsvan.com and get in touch now! 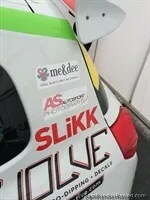 Following on from the charity hosting last year in support of the Me&Dee charity, SamRandonRacing have teamed up with headline sponsor, Greenbank Group, to do more for this inspirational charity and launch a charity funding initiative in further support of the wonderful work done by it’s founder, Maria Hanson. Maria’s work was recently recognised by an MBE in the New Years Honours, along with winning the East Midlands ‘Pride of Britain’ award. 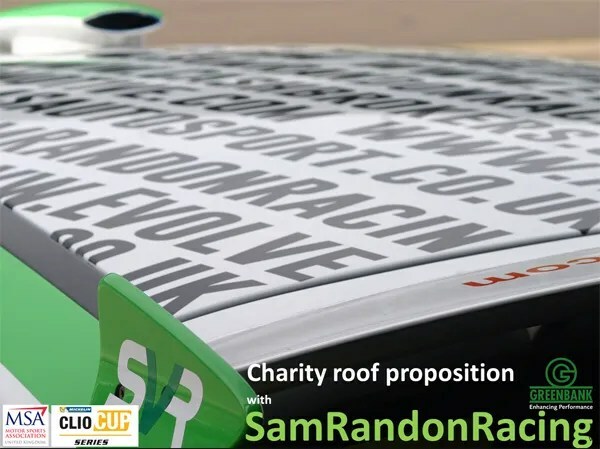 Sam has donated the whole roof-space of his Clio Cup car to be be sold in affordable slots to combine in an eyecatching roof design made up of company web site addresses, hashtags or social media names. A generous 50% of all proceeds will go straight to the charity. In addition to raising funds for the charity, Sam will continue to host families supported by the Me&Dee charity at future race weekends. Please pass on the message and help us raise much needed funds for Me&Dee. Click here to read more about our fundraising. http://www.youtube.com/watch?v=U5ZSXaAEooo SamRandonRacing hit the track recently for a shakedown test with new team Westbourne Motorsport at a wet Snetterton in Norfolk. Chasing after new teammate and series front runner Luke Herbert, Sam was keen to get the season underway. 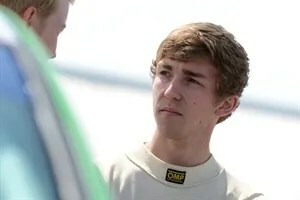 “I so excited to be joining Westbourne Motorsport for this year” said 20 year old Sam, “They know how to prepare a winning car and with the help of driver coach Ed Pead, race winning UK Clio Cup driver James Colburn in support, and Luke as a teammate I am sure they will get the best out of me“. The season starts in April. See schedule here. 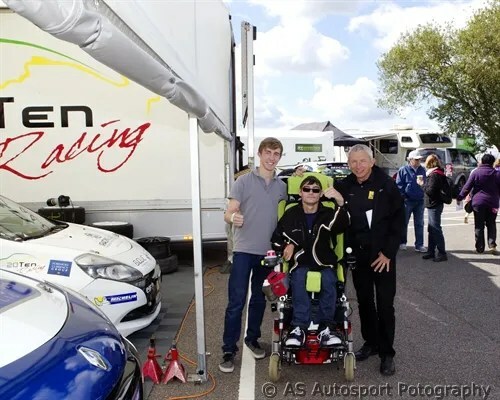 A YOUNG motorsport fan with cerebral palsy saw his high-octane dreams come true when the racing community put pedal to floor to provide the perfect petrol fuelled weekend. 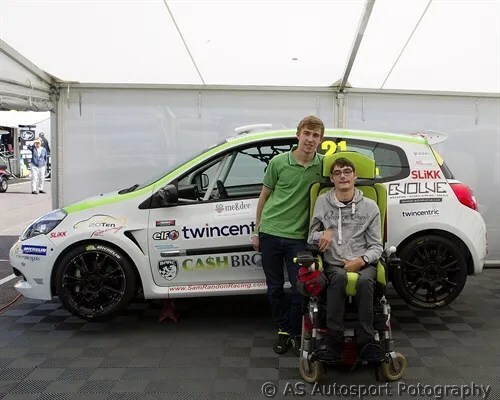 Jack Tissington was given the inside track after Derbyshire-based Sam Randon Racing joined forces with sponsor The Greenbank Group and local charity Me&Dee. Maria Hanson, who founded the charity that provides special experiences for those with life-threatening conditions, put the 17-year-old’s name forward after winning paddock tickets at a dinner to mark Greenbank’s 60th Anniversary. 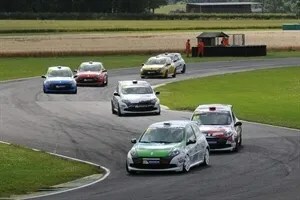 It was then full speed ahead to watch Sam Randon compete in rounds 9 and 10 of the Michelin Clio Cup Series at the Snetterton circuit in Norfolk. 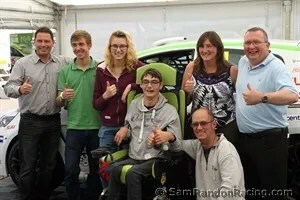 When he heard about the special visitor, Simon North of Grovewood Sports, promoter of the Michelin Clio Cup Series, immediately donated more tickets to enable the youngster’s whole family to attend. 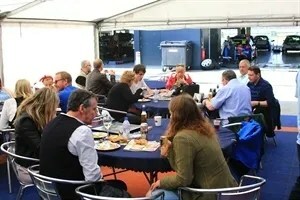 As a result Jack spent two days in the hospitality section of the 20Ten Racing awning, having full access to the race paddock where the cars are worked on. He was also given a tour of the facilities by Ashbourne-based Sam, whilst photos of his visit were donated by AS Autosport Photography. Jack was also presented with a sports jacket, donated by Renault UK and Grovewood Sports, and given a look round the Formula Renault team garage by SWB Motorsport. Evolve Automotive, meanwhile, provided charity car stickers. Sam Randon’s father and manager, Neil, added: “It was humbling to host Jack and his family for the weekend. Despite his obvious health issues, Jack smiled all day and his thumb seemed glued in a thumbs-up position, his way of letting us know he approved. 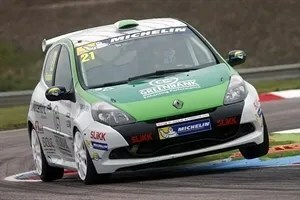 SAM Randon finished his Michelin Clio Cup season with a strong second place at Croft, near Darlington. Randon was only just nudged off the front row after a strong qualifying session in the wet and transferred his form to the race, running fourth much of the way but nipping through as the leaders lapped backmarkers on the last lap. “We get enough bad luck, so a little good fortune was due,” said the teenage Ashbourne racer. “We needed this result and it was a perfect way to thank the sponsors for their extra support that kept us on the track after a disaster weekend at Brands Hatch. © SamRandonRacing Limited, 2009-19. Unauthorized use and/or duplication of this material without express and written permission from this blog’s author and owner is strictly prohibited. Excerpts and links may be used, provided that full and clear credit is given to SamRandonRacing Limited with appropriate and specific direction to the original content.